Keep your favorite flats cozy in these Cole Haan socks! Sold as a pack of two. No-show cut. Cushioned sole. Silicone non-slip heel gripper. 68 percent combed cotton, 30 percent polyester, 2 percent spandex. Machine wash cold, tumble dry low. Imported. 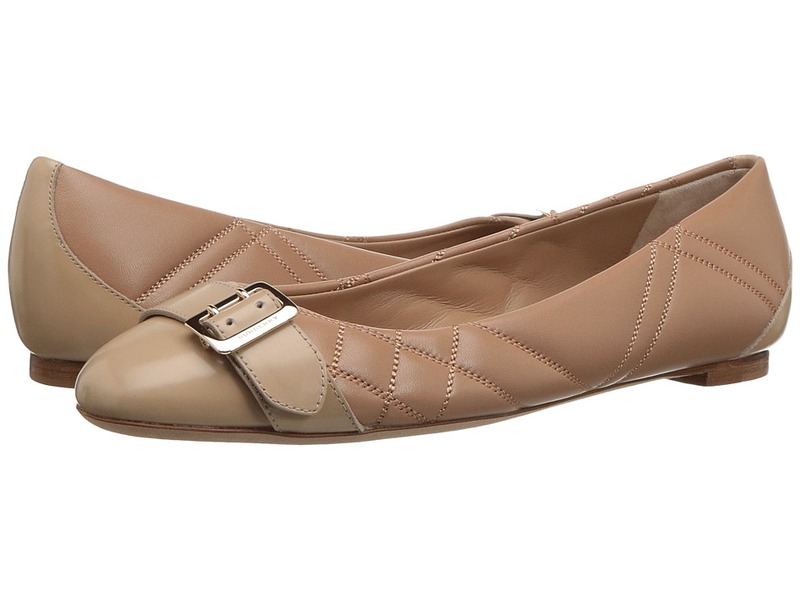 The versatile Bolshoi ballerina flat will add a delicate balance to your chic collection. Nappa leather upper. Slip-on design. Round toe. 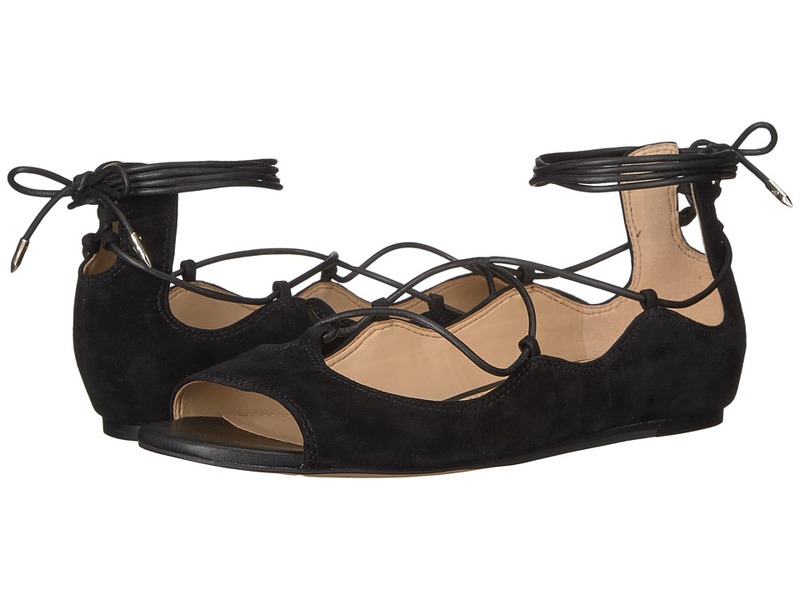 Crisscrossing elastic straps over vamp. Bow detail at heel panel. Textile lining. Lightly cushioned footbed. Mini wrapped heel. Leather sole. Made in Spain. Measurements: Heel Height: 3 4 in Weight: 6 oz Product measurements were taken using size 7.5, width M. Please note that measurements may vary by size. Weight of footwear is based on a single item, not a pair. The Giovanna sandal is from the Naot Elegant Flats Collection, which runs as a Narrow to Medium Width. Giovanna is ready for the resort or a get-together with friends. Rhinestone-embellished leather upper with a hook-and-loop closure for optimal fit. Leather lining feels smooth and aids in drawing moisture away from your feet. 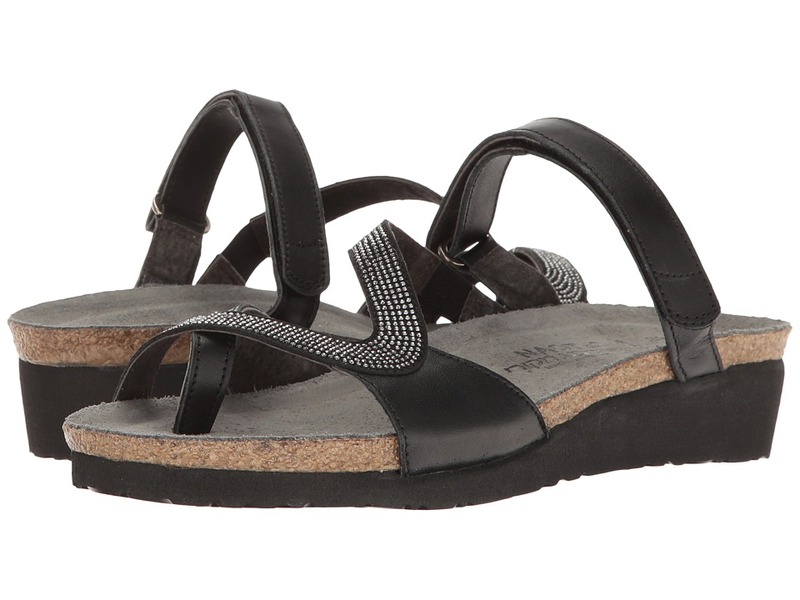 Leather lined cork footbed molds to your foot for ultimate comfort and support. Flexible, shock-absorbent sole enables the foot to move gently and continuously. Imported. Measurements: Heel Height: 1 in Weight: 6 oz Product measurements were taken using size 39 (US Women~s 8), width M. Please note that measurements may vary by size. Weight of footwear is based on a single item, not a pair. 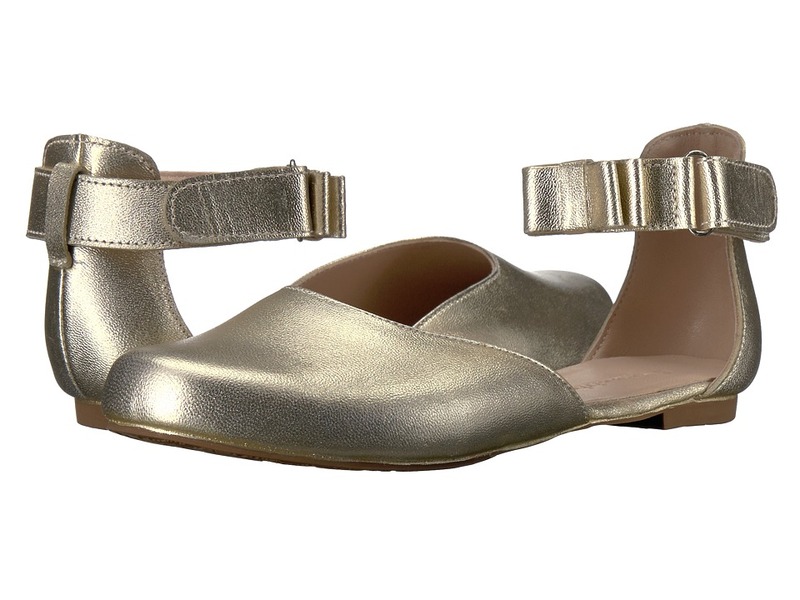 The Gabriela sandal is from the Naot Elegant Flats Collection, which runs as a Narrow-to-Medium width. Feel the island breeze as you stride in the luxurious Gabriela slide sandal. Soft leather upper inset goring and hook-and-loop closure for optimal fit. Leather lining feels smooth and aids in drawing moisture away from your feet. 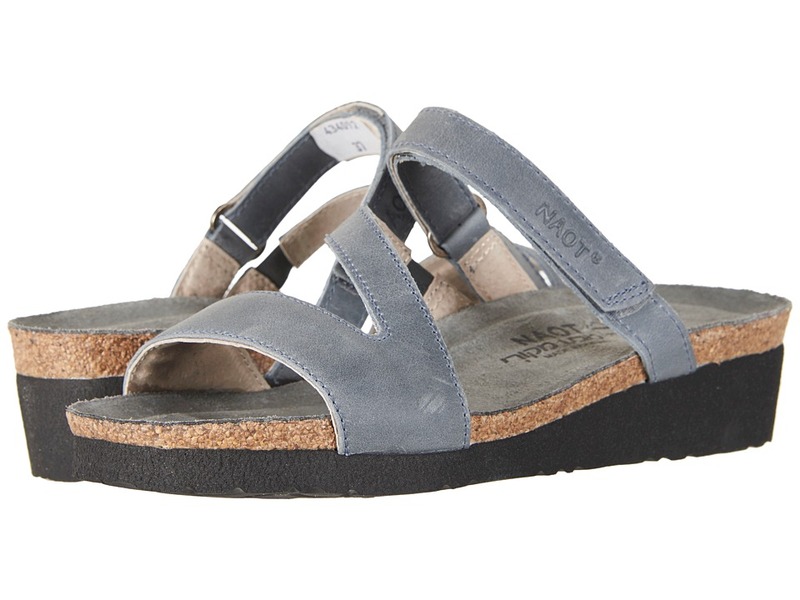 Leather lined cork footbed molds to your foot for ultimate comfort and support. Flexible, shock-absorbent sole enables the foot to move gently and continuously. Imported. Measurements: Heel Height: 1 in Weight: 6 oz Product measurements were taken using size 40 (US Women~s 9), width M. Please note that measurements may vary by size. Weight of footwear is based on a single item, not a pair. 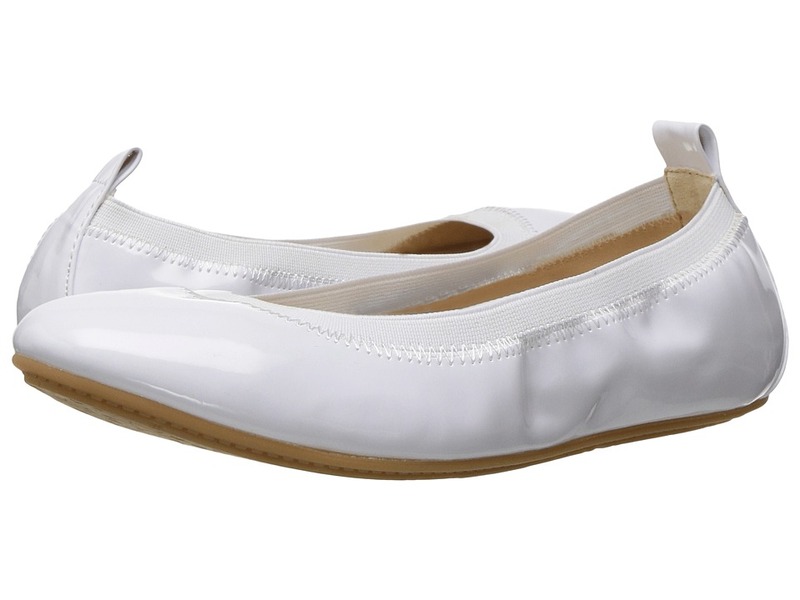 Bland ballet flats are a thing of the past! 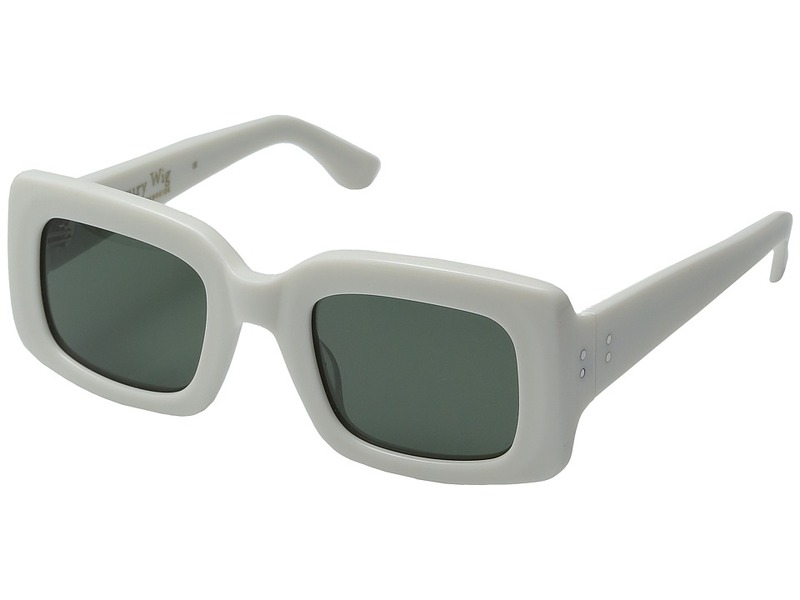 Add a touch of flair with the Blaire. Perforated leather upper with a round toe. Easy slip-on design. Soft synthetic linings. Features a leather-lined, Tiny Pillows footbed designed with open-cell, non-compacting latex with tiny pillows for increased cushioning. Lightweight and flexible rubber outsole. Imported. Measurements: Heel Height: 1 4 in Weight: 6 oz Product measurements were taken using size 7.5, width W (D). Please note that measurements may vary by size. Weight of footwear is based on a single item, not a pair. 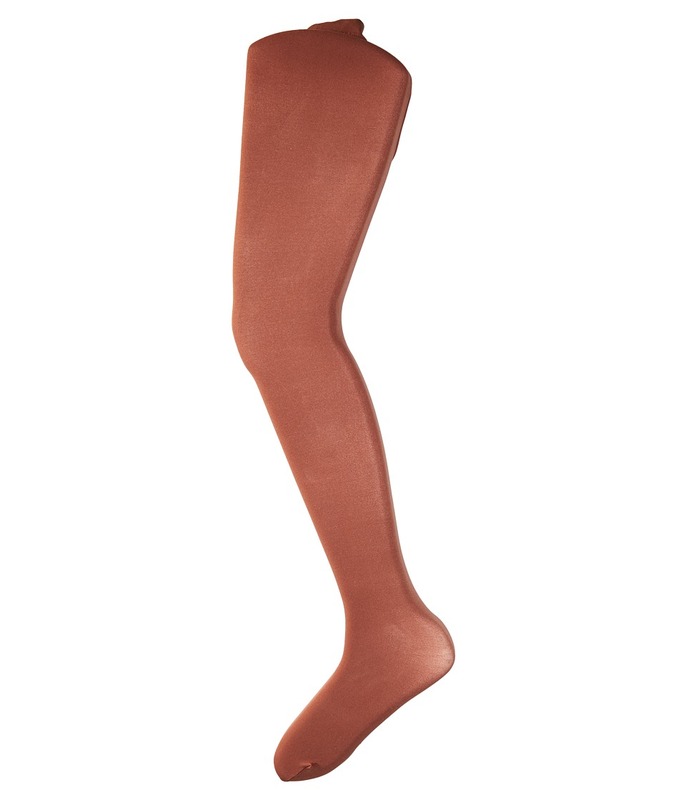 You~re ready for barre or ballet in this Capezio Kids Ultra Soft Transition Tights. 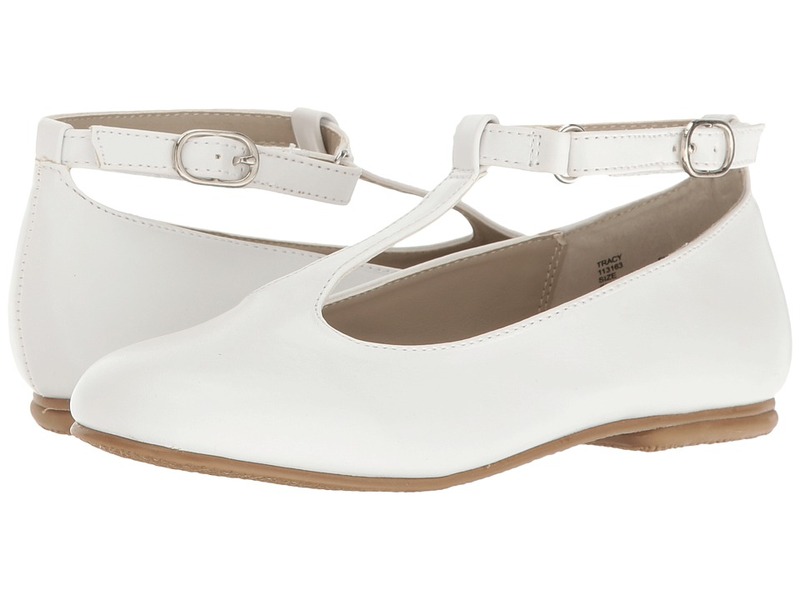 Convertible tight is perfect for transitioning between pointe shoes and ballet flats. This versatile look fits your every move. 86 percent Tencel nylon, 14 percent spandex. Hand wash, dry flat. Imported. Note: Please size up. 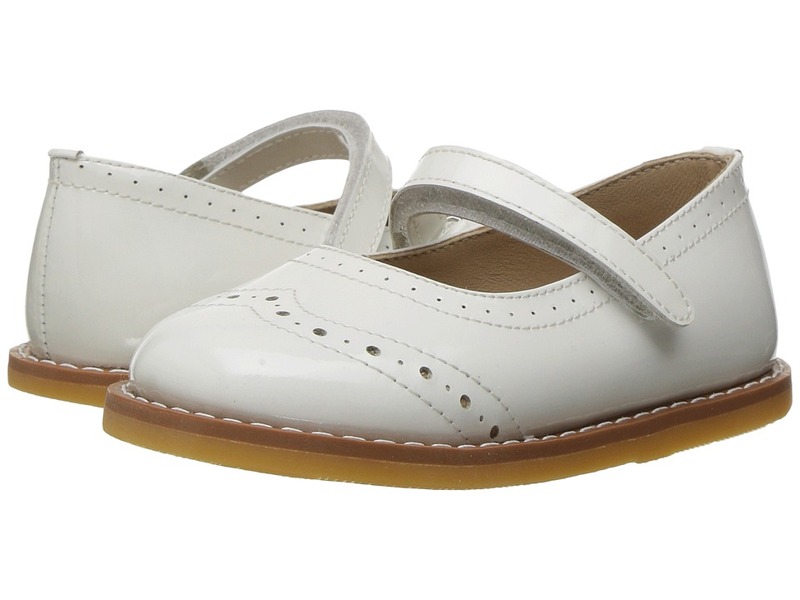 Stay light on your feet in these dashing Camper Right Nina flats! Ballerina-inspired silhouette. Uppers of premium letaher. Lace-up closure. Textile lining. Generously cushioned footbed for all-day comfort. Flexible rubber outsole provides long-lasting wear. Imported. Measurements: Heel Height: 3 4 in Weight: 7 oz Shaft: 4 1 4 in Platform Height: 1 4 in Product measurements were taken using size 39 (US Women~s 9), width B - Medium. Please note that measurements may vary by size. Weight of footwear is based on a single item, not a pair. 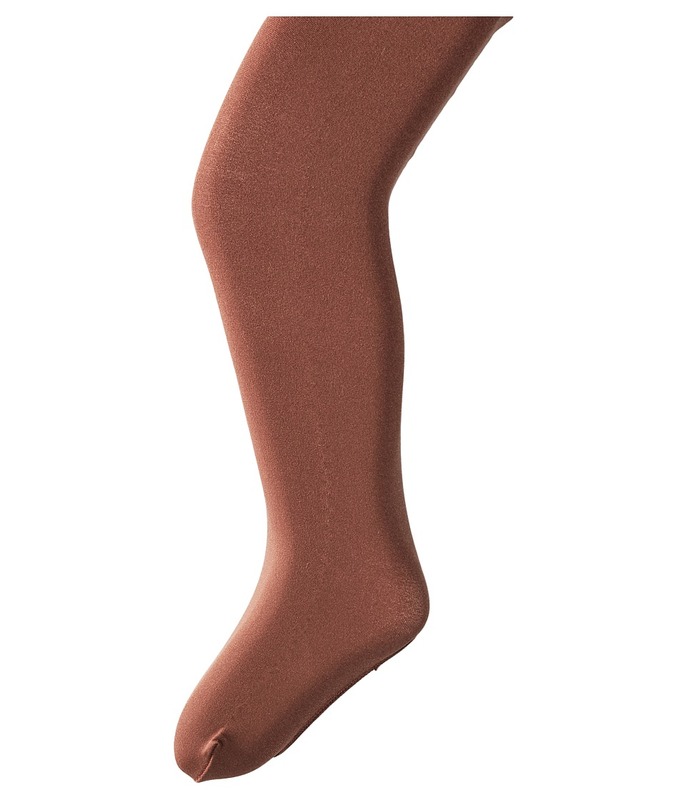 You~re ready for barre or ballet in this Capezio Kids Ultra Soft Transition Tights. 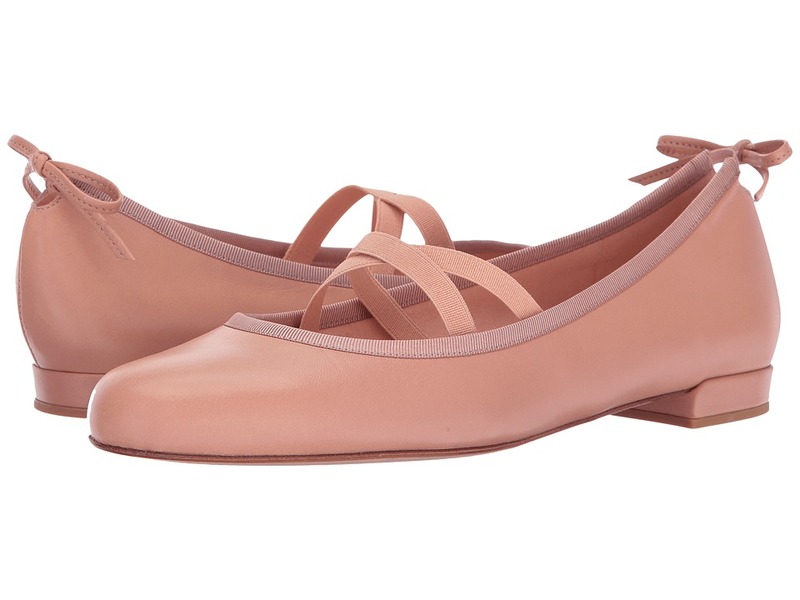 Convertible tight is perfect for transitioning between pointe shoes and ballet flats. This versatile look fits your every move. 86 percent nylon, 14 percent spandex. Hand wash, dry flat. Imported. She~s occasion ready in the Balleto - Tracy from Jumping Jacks Kids! Flats in a synthetic upper. T-strap with buckle closure for best fit. Man made lining and insole. Durable synthetic outsole. Imported. Measurements: Weight: 4.8 oz Product measurements were taken using size 2 Little Kid, width M. Please note that measurements may vary by size. Weight of footwear is based on a single item, not a pair. 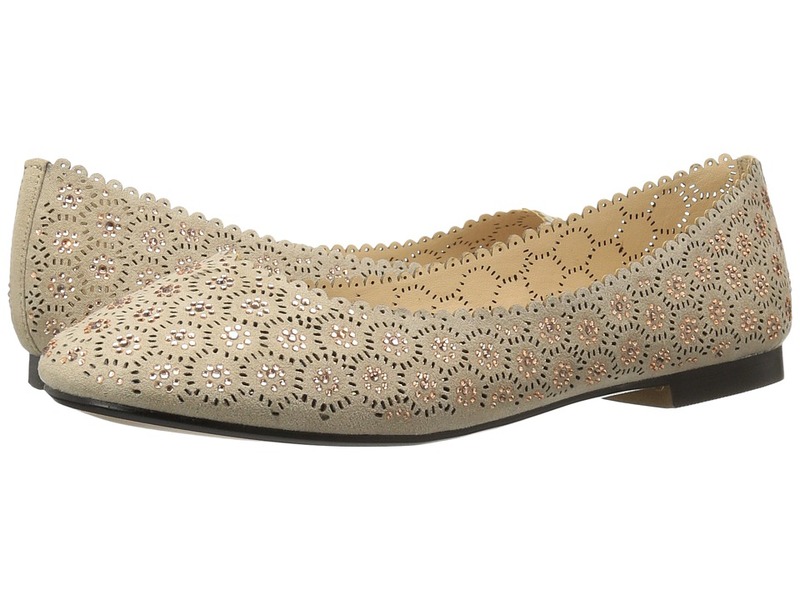 The Sam Edelman Barbara flats are sure to add some flirtatious flair to your look. Supple suede upper. Ghillie lace-up closure. Round, open-toe silhouette. Leather lining and insole. Lightly cushioned leather footbed. Flexible man-made sole with rubber heeltap. Imported. Measurements: Heel Height: 1 8 in Weight: 6 oz Product measurements were taken using size 7, width M. Please note that measurements may vary by size. Weight of footwear is based on a single item, not a pair. 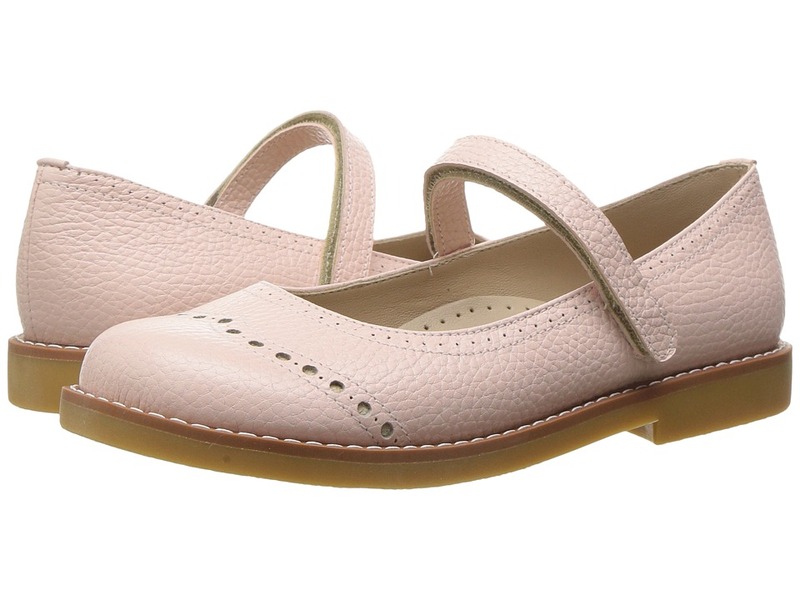 Fresh for anyday, these Finley flats are sure to be your new go-to! Available in a variety of premium uppers. Slip-on design. Round-toe silhouette. Bow tie accent at vamp. Leather lining and insole. Lightly padded footbed. Micro heel. Synthetic outsole with rubber heeltap. Imported. Measurements: Heel Height: 1 4 in Weight: 4 oz Product measurements were taken using size 7, width M. Please note that measurements may vary by size. Weight of footwear is based on a single item, not a pair. Burberry flats made of suede or smooth leather. Slip-on style. Round-toe silhouette. Buckle accent at the toe. Leather lining. Lightly padded leather insole. Textured rubber outsole. Made in Italy. This item may ship with an attached security tag. Merchandise returned without the original security tag attached or a damaged tag may not qualify for a refund. Measurements: Weight: 7 oz Product measurements were taken using size 38.5 (US Women~s 8.5), width B - Medium. Please note that measurements may vary by size. Weight of footwear is based on a single item, not a pair. April showers bring more styles! 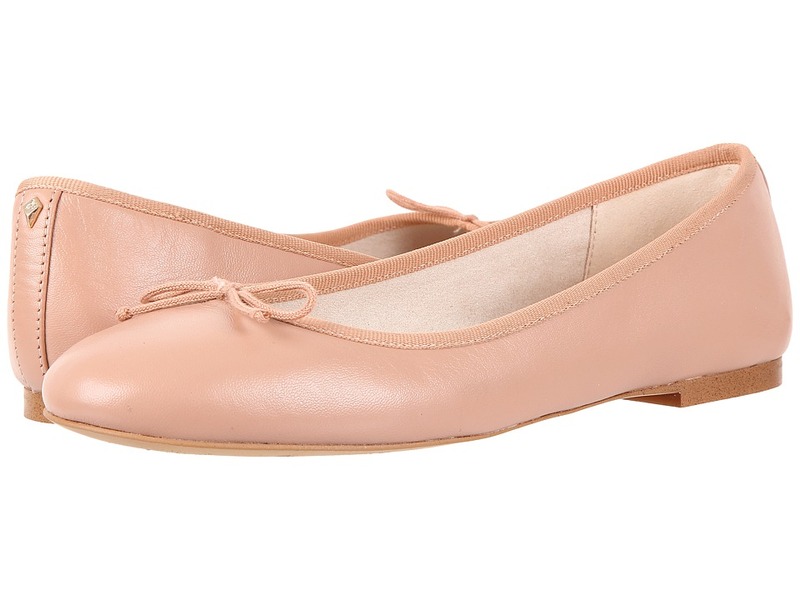 Ballet flats in a leather upper. Hook-and-loop closure around the ankle for easy on and off. Breathable leather lining and a cushioned leather insole. Durable rubber outsole. Imported. Measurements: Heel Height: 1 2 in Weight: 4 oz Product measurements were taken using size 2 Little Kid, width M. Please note that measurements may vary by size. Weight of footwear is based on a single item, not a pair. 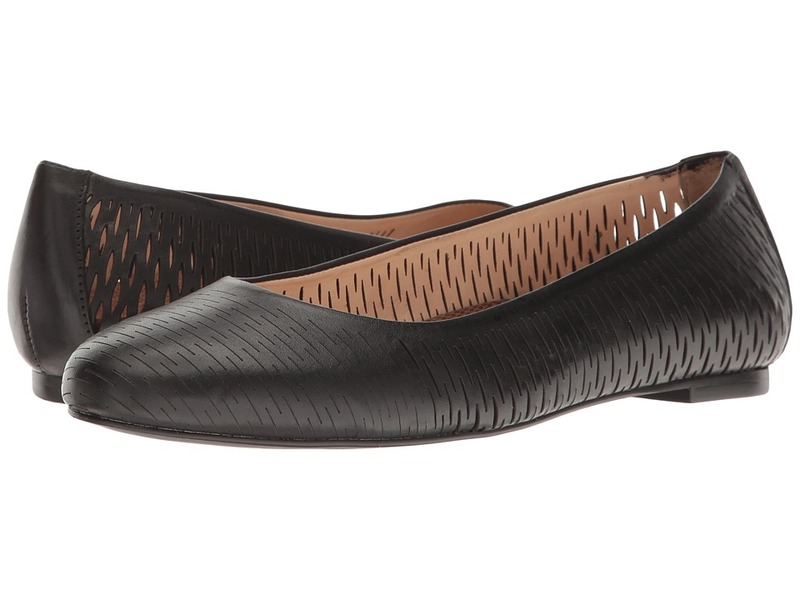 The Athena Alexander Ocean slip-on ballet flats feature a beautiful cutout pattern throughout. Textile upper with inset rhinestone details. Round toe. Man-made lining. Lightly padded insole. Man-made outsole. Imported. Measurements: Heel Height: 1 2 in Weight: 6 oz Product measurements were taken using size 7.5, width M. Please note that measurements may vary by size. Weight of footwear is based on a single item, not a pair. A mod look to finish off their outfit! Flats in a leather upper. Perforated detailing reveals glitter underlay. Hook-and-loop closure for easy on and off. Breathable leather lining and a cushioned leather footbed. Arch cookie keeps their feet comfortable. Durable rubber outsole. Made in Peru. Measurements: Weight: 7 oz Product measurements were taken using size 2 Little Kid, width M. Please note that measurements may vary by size. Weight of footwear is based on a single item, not a pair. A mod look to finish off their outfit! 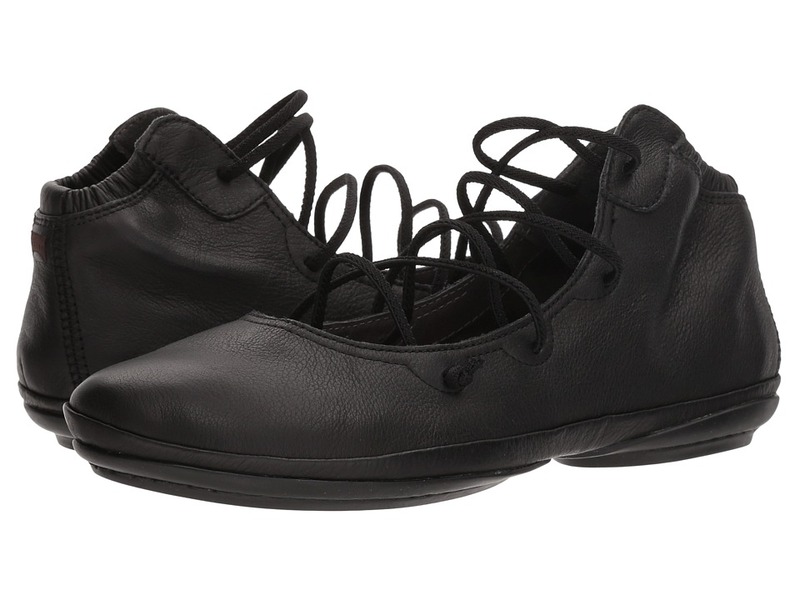 Flats in a leather upper. Perforated detailing reveals glitter underlay. Hook-and-loop closure for easy on and off. Breathable leather lining and a cushioned leather footbed. Arch cookie keeps their feet comfortable. Durable rubber outsole. Made in Peru. Measurements: Weight: 3 oz Product measurements were taken using size 6.5 Toddler, width M. Please note that measurements may vary by size. Weight of footwear is based on a single item, not a pair.